327 days after Hurricane Sandy blew through our community, the Brigantine Branch of the Atlantic County Library System has moved back to 201 15th St. South. Many people may not have realized that the original branch building has been out of commission for so long. 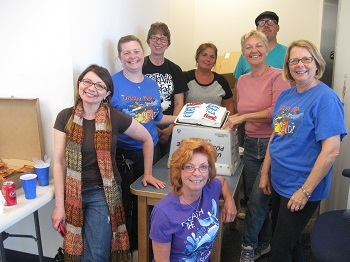 Our dedicated staff, working out of a room in the Brigantine Community Center, maintained and provided for the community in the most professional way they could under the circumstances and never left a gap in our Library’s services. Read more about Brigantine Branch Goes Home! The Atlantic County Library System has a new look! We have made every effort to build a new website for you, our patrons and guests, which is user friendly and all-encompassing of what we have to offer here at ACLS. New features, such as a home page that will keep you current on ACLS’ news and events, are all available to you in a fresh, streamlined look. As with all new endeavors, we will be working and tweaking to make this even better every day. Take a moment to explore. 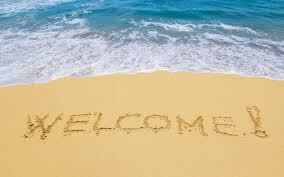 We hope you enjoy your experience and keep coming back to see what's new. Read more about The Atlantic County Library System has a new look! 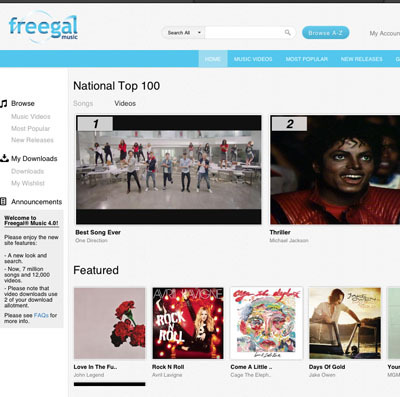 Freegal is a free music download service brought to you by the Atlantic County Library System. Each week, by signing in with your valid libary card number and PIN, you are allowed 3 downloads from a collecton of over 7 million songs. Listen to them on your PC, iProducts and mobile devices... they are yours to keep! With Freegal's new update, you can browse easier, create wishlists and save downloads from your mobile app. Even more exciting is the addition of music videos! Choose and download from over 10 thousand music videos now too! Read more about Freegal 4.0 is here! A fun workout for kids! Atlantic County Library System/Mays Landing offers Zumbatomic for Kids on Saturday, November 16 at 11:30 AM. Instructor Joelle Motley will present a lively musical workout for boys and girls, ages 5 to 12, and registration is requested. Atlantic County Library System/Brigantine in partnership with BrigStrong hosts Your Calm After the Storm: Hurricane Sandy on Tuesdays through December 17, starting at 6:30 pm. Held at the Brigantine Beach Community Center, the sessions are facilitated by New Jersey Hope and Healing and are free and open to adults. At 6:30 pm, get updates from BrigStrong, Brigantine’s long-term recovery group. Starting at 6:45 pm, share information and get suggestions for managing stress and anxiety. A free mini yoga and relaxation techniques session begins at 7:30 pm. This project is sponsored by the New Jersey Division of Mental Health and Addiction Services, Disaster and Terrorism Branch, through a Federal Emergency Management Agency grant, in partnership with the Mental Health Association of New Jersey. Open to adults. Registration requested.Based on the mindfulness based stress reduction ( MBSR) developed by Jon Kabat-Zinn, class teaches participants how to create a more peaceful and balanced life through mindfulness practices. 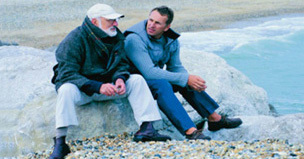 It offers tools to deal with stress, anxiety and worries of the mind. Suggested for ages 3-5. Registration requested. Each session includes a craft & stories and snacks. Please advise of any food allergies.